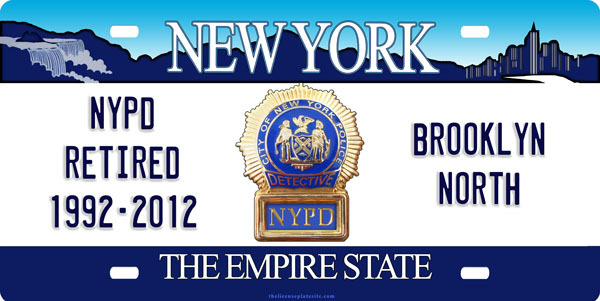 Retired NYPD Detective License Plate shown in an entirely different version, we offer diverse designs, just use you imagination, and we\\\'ll try to make it for you. This tag can be made for you with a couple alterations. Order yours today!